Nutrition is fundamental to health, but seldom does one learn about the relationship between diet and the auditory system. Nutrition and hearing ability are, in fact, connected. There is no specific food that will definitely cause or prevent hearing loss. Likewise, lost hearing cannot be restored through a diet change. However, new research suggests that certain nutrition patterns may actually decrease—or increase—your risk of developing hearing loss. A Brigham and Women’s Hospital study monitored the hearing health of more than 70,000 women on various diets for 22 years. These diets included the Alternate Mediterranean Diet (AMED), Dietary Approaches to Shop Hypertension (DASH), and Alternative Healthy Eating Index-2010 (AHEI-2010). These diets favor fruits, vegetables, seeds, nuts, legumes, whole grains, seafood, poultry, and low-fat dairy. All three also advise limiting foods that are high in sodium (salt) and LDL (low-density lipoprotein) cholesterol, discouraging consumption of refined and red meats, processed foods, and sugary drinks. Women following diets similar to the AHEI-2010, DASH, and AMED decreased their likelihoods of hearing loss by at least 30 percent, with DASH and AMED showing the greatest benefits. 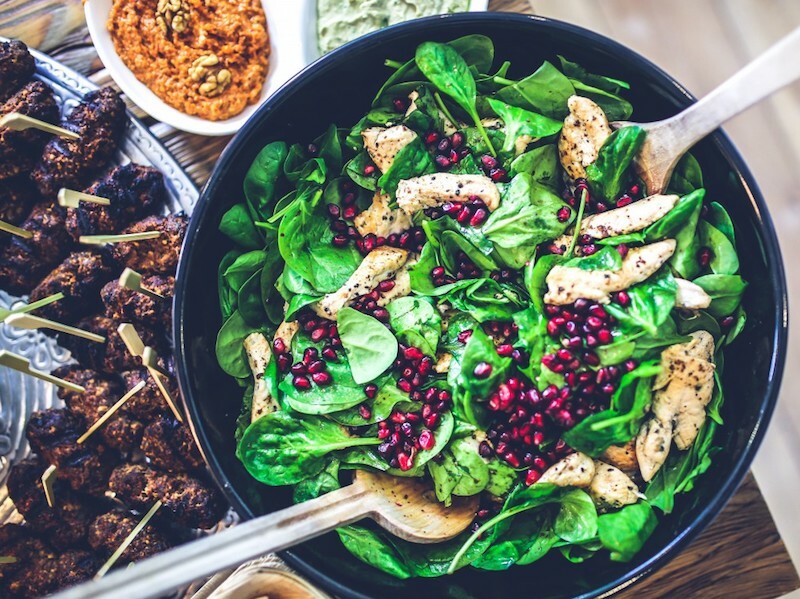 The researchers found that diets that prioritize fruits and vegetables with minerals like folic acid, potassium, and zinc decreased the risk of hearing loss. Other findings indicate that certain nutrients are associated with positive hearing health outcomes. Potassium—a mineral found in bananas, potatoes, and black beans—plays a large role in the way that the inner ear functions and converts sounds into signals for the brain to interpret. Regular intake can help you maintain your current level of hearing, says Sherif F. Tadros, M.D., of the International Center for Hearing and Speech Research in a Europe PubMed Central published study. George E. Shambaugh, Jr., M.D., of the Shambaugh Hearing and Allergy Institute reports that the zinc in almonds, cashews, and dark chocolate can be an effective treatment for tinnitus, hearing ringing or buzzing without an external sound source. Magnesium is believed to combat free radicals emitted during loud noises and act as a barrier protecting inner ear hair cells. Folic acid has also been shown to possibly slow the onset of hearing loss. Blood flow is restricted by homocysteine (an amino acid), so folic acid works to metabolize it to keep blow flow regulated. According to Jane Durga, Ph.D., of the Nestlé Research Center in Lausanne, Switzerland, because the inner ear relies on a regular flow of blood, folate is extremely important. Foods high in folic acid include spinach, broccoli, and asparagus. Conversely, malnutrition negatively affects the human body. In an examination of 2,193 participants ages 16 to 23, Susan D. Emmett, M.D., and colleagues found that malnutrition not only stunts anatomical development in children, but slows inner ear development. Malnourished children were observed as being twice as a likely to develop hearing loss as young adults compared to their well-nourished peers. Further, the study acknowledges that that stunting often begins before birth. A malnourished woman who is pregnant or nursing is likely to pass on any deficiency she may have to her child. Hindered inner ear development in utero caused by malnutrition contributes to a higher risk of hearing loss than does malnutrition in vivo. Individuals with type II diabetes also are more likely to develop hearing loss than their nondiabetic counterparts, according to an National Institutes of Health-funded project by researcher Chika Horikawa, Ph.D., of Japan’s Niigata University. Subjects with prediabetes—those who have elevated blood sugar levels but not elevated enough for a diagnosis of diabetes—also have a 30 percent increased risk The study authors attribute the higher risk to damaged nerves and blood vessels of the inner ear, a consequence of having type II diabetes for an extended period of time. Though rarely acknowledged, diet has a lot to do with the auditory system. Adding just a few foods to your daily diet and paying attention to the nutrients that your diet is missing may significantly impact hearing over the long term. As an aspiring doctor currently studying nutrition during my undergraduate years, I understand how important it is to look at an individual's state of health from different angles and perspectives. Nutrition is vital to every aspect of health. An HHF summer intern, Meagan Rowley is a senior on the pre-medicine track studying human nutrition at Case Western Reserve University in Cleveland.